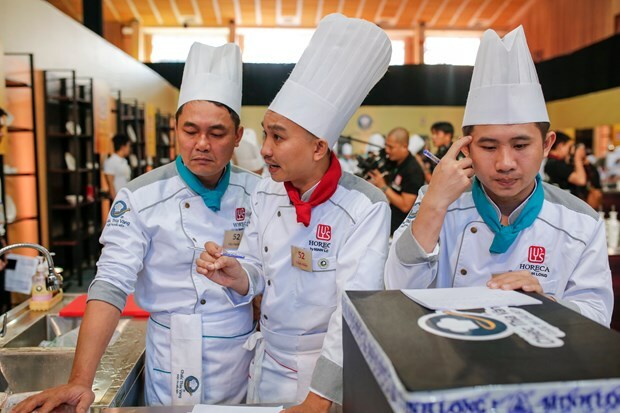 Exciting facial expressions, quick handy moves over platters, laughs and tears,… These unforgettable moments of the final round made up a piquant journey of the fourth edition of the Golden Spoon Awards. 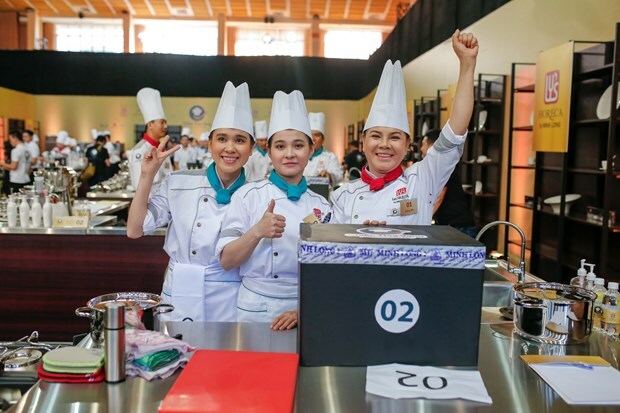 Being the only all-female team, Quan Nhi Restaurant confidently showed their eagerness and determination when received applause from the crowd, close friends, colleagues and supportive relatives. 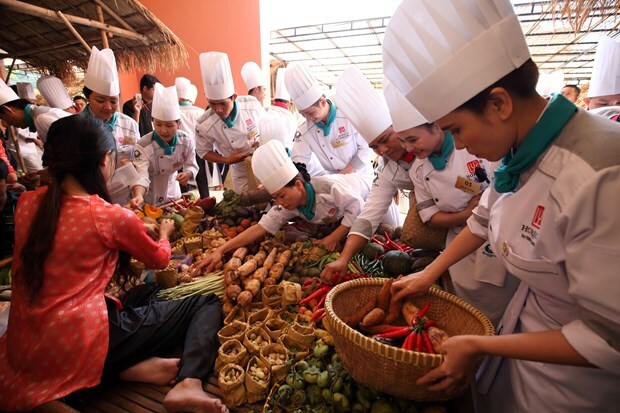 While the team leader was discussing and assigning tasks to implement the menu, other members of Cam Thanh Hotel, the only representative from Quang Ngai Province, frowned and kind of expressed their concern. 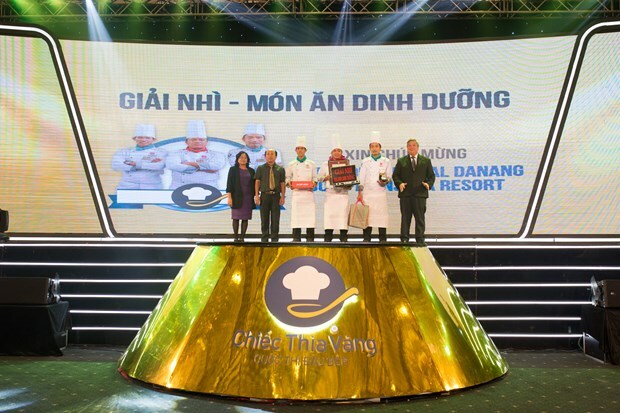 Chef Nguyen Huu Hau, team no. 73, was known for his extra calm and concentration while cooking. “45 shades of excitement” before entering the town market. The town market was located near the set, where hawkers and booths of vegetables, spices, flowers, etc. were put up for chefs to choose. 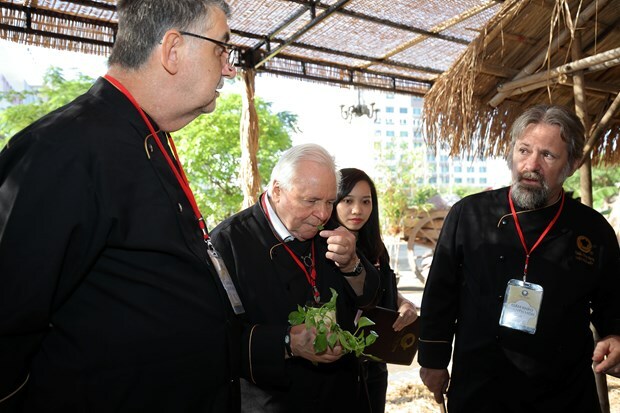 Chef of the Century, Eckart Witzigmann, was enthusiastic to try out different types of local greens and herbs. 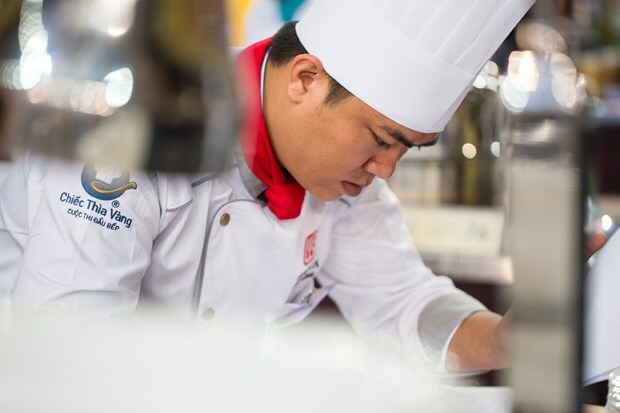 In his opinion, the variety and freshness of Vietnamese ingredients, spice and condiments help add colors and flavors to the country’s exquisite cuisine. 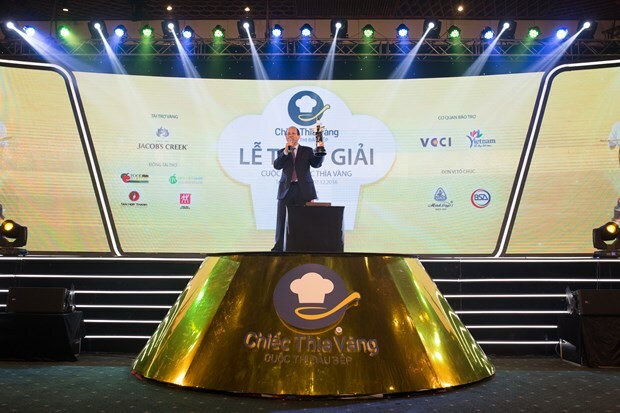 Arriving in Vietnam for the first time and attending the competition for Vietnamese chefs, the Michelin star chef was quite impressed by the creativity based on local ingredients. 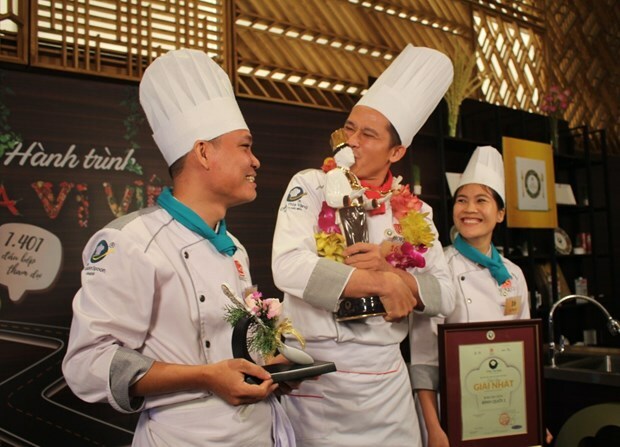 He said that being the winner was a great opportunity for a chef to advance his career. 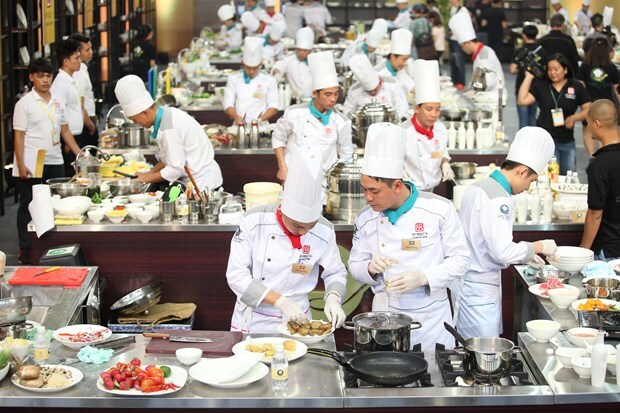 The sound of chopping board, clinking utensils and smells of cooked food were ubiquitous in the set of the competition. 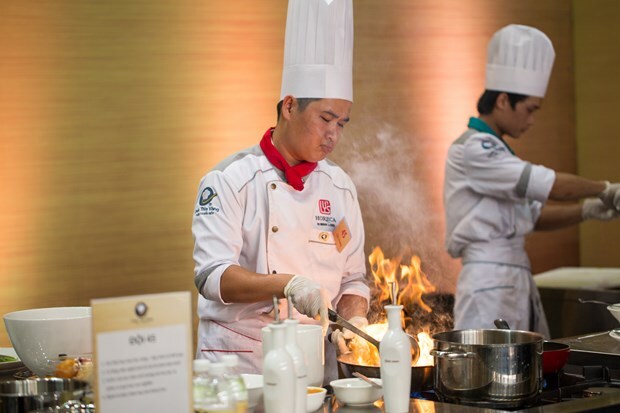 Chefs frowning and highly concentrating on their work could be seen from any angle of their cooking stations. 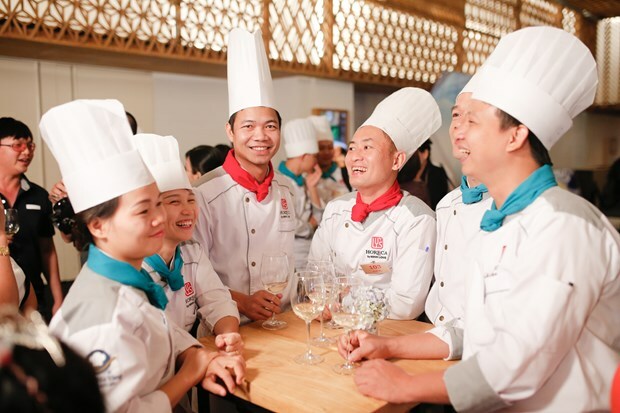 After a hectic cooking and tasting session, the chefs relaxed and smiled more often, which brought them closer to each other. 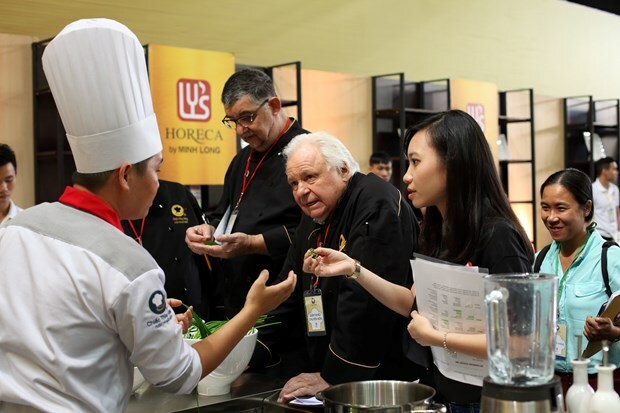 This year, the competition itself earned a great deal of credits thanks to the reputable judge panel which included known professionals in the industry. 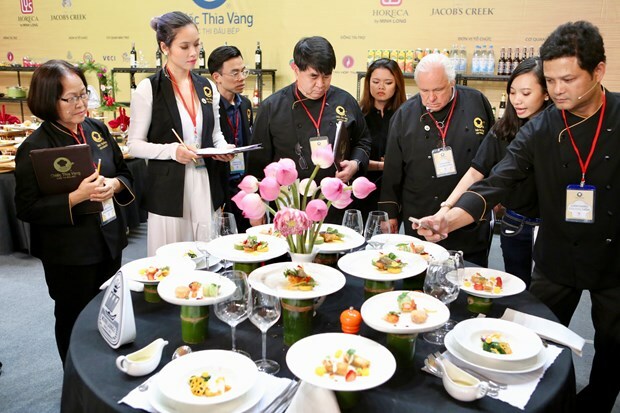 In the photo, the judges gathered at a banquet table to score the display during the Grand Final on 6 December. 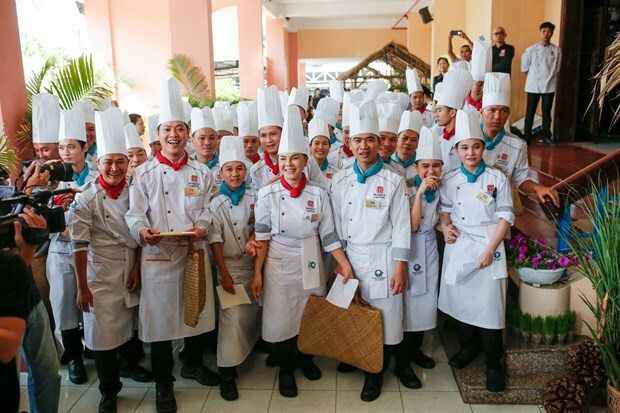 Outside the cooking competition, judges are only normal people who never say no to a fun group selfie. 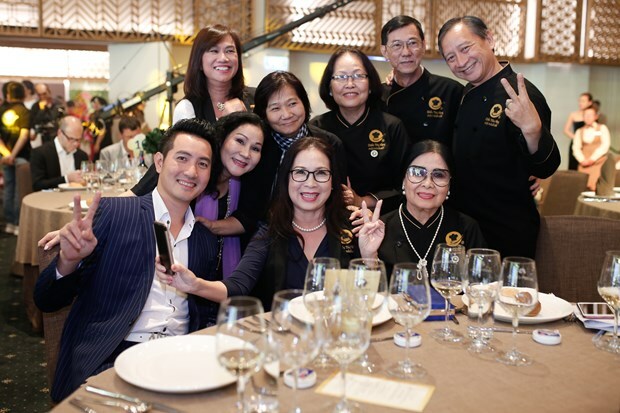 Pop singer Nguyen Phi Hung and Meritorious Artist Kim Xuan were among those who participated in the panel as guest judges. 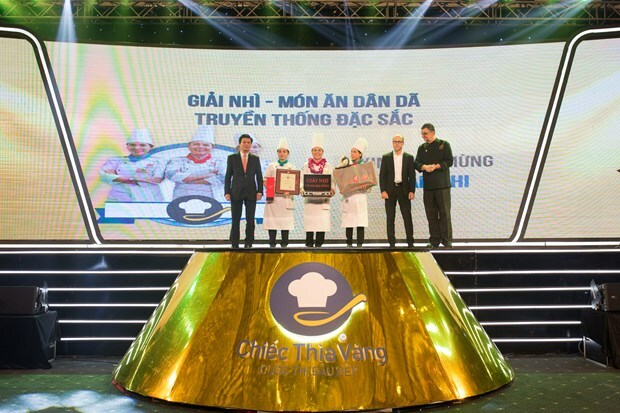 Mr Ly Ngoc Minh, general director of Minh Long I Co., Ltd., introduced the chef trophy for the competition’s fourth edition. 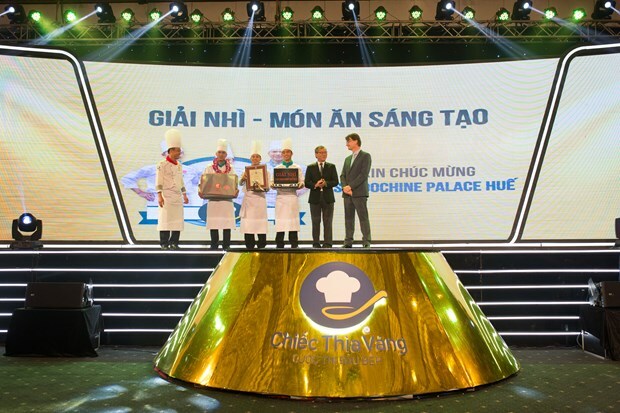 This trophy was the first of its kind in Vietnam, made using slip casting techniques and baked at the standard porcelain temperature ranging from 1,360 to 1,380 Celsius degrees. 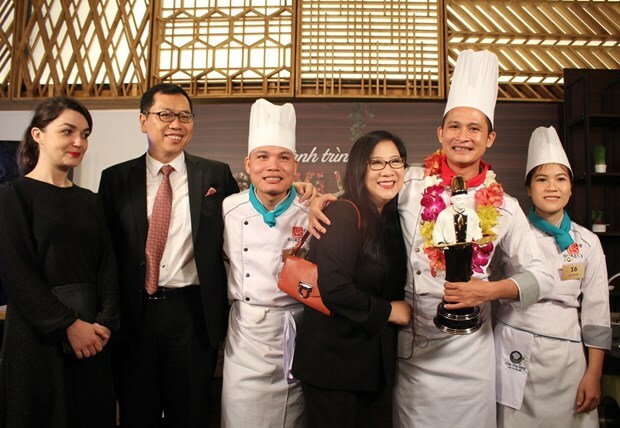 It has three parts including a chef statuette, a base of victory and a golden spoon, which together depicts the winner whose confidence and charisma shine through his eyes and attire. Each team in top 15 received a certificate from the organizing committee for their effort and talent throughout the 6-month journey of the Golden Spoon Awards. The runner-up went home with a 100-million dong cash prize. Team no. 62 finished second with the Best Creative Menu. The Best Nutritious Menu prize went to team no. 73 from InterContinental Danang Sun Peninsula Resort. Team no. 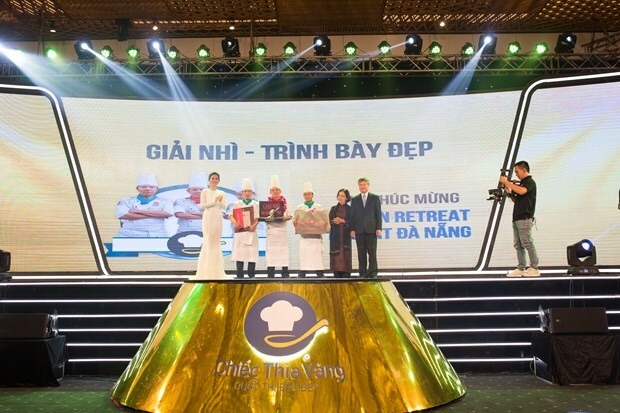 77, Naman Retreat Resort Danang, was awarded for the Best Decoration. In recognition of their effort and tireless studies to create new recipes based on unknown traditional spices and condiments, the Best Unique Traditional Menu was presented to the ladies of team no. 1 from Quan Nhi Restaurant, Can Tho. 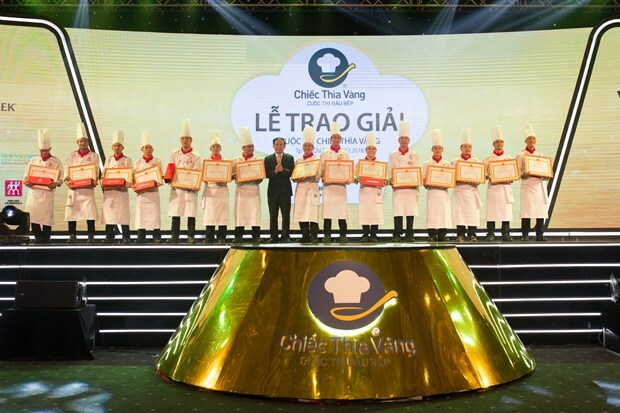 The winning team received congratulations from judge Ho Thi Hoang Anh (third to the right) and Nelly Gocheva (first to the left), global editor of T Brand Studio International, the brand-marketing arm of The New York Times.